Crystal Ocean put clear water between himself and four rivals to run out an impressive winner of today's G3 Qatar Gordon Stakes. Victory for the Ivory-trained Lancelot Du Lac in the £250,000 Qatar Stewards' Cup over six furlongs was a second win in the contest for jockey Frankie Dettori. 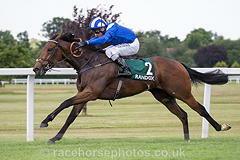 Battaash continued his ascent up the sprinting ladder with a brilliant display in the Qatar King George Stakes. Ryan Moore rode his third winner of the afternoon when landing the lucrative Betfred Mile aboard Master Of The World. Winter handled the step up in trip to win her fourth Group One of the season in the Qatar Nassau Stakes at Goodwood. 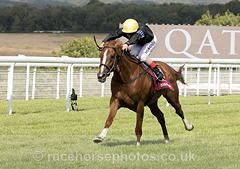 Barraquero ultimately ran out an impressive winner of the Qatar Richmond Stakes in the famous Sangster colours at Glorious Goodwood. Here Comes When pulled off a 20/1 shock when landing the £1m G1 Qatar Goodwood Sussex Stakes, which was run in pouring rain. The G3 Bombay Sapphire Molecomb Stakes saw Havana Grey make all under the stands' rail to triumph by a length and three-quarter for trainer Karl Burke. Big Orange is denied a Goodwood Cup hat-trick, Andrea Atzeni lands a treble with Stradivarius. Expert Eye wins the Qatar Vintage Stakes very impressively and is made favourite for next year's 2000 Guineas. Breton Rock caused a 50-1 shock in the Qatar Lennox Stakes when coming from last to first under Andrea Atzeni. Ryan Moore, who gained his fifth winner of the 2017 Qatar Goodwood Festival on Crystal Ocean in the G3 Qatar Gordon Stakes this afternoon, finished the five-day meeting as the Racing UK Top Jockey. It was the fourth time that the rider has headed the jockey standings at the Qatar Goodwood Festival, following on from 2015 (eight winners), 2009 (five winners) and 2007 (five winners). Moore is donating the £1,000 for charity he wins to the Stephen Yarborough Just Giving fund. Stall handler Yarborough died in an accident at Haydock Park Racecourse on July 21. The jockey also won a subscription to Racing UK and a deluxe Goodwood hamper. 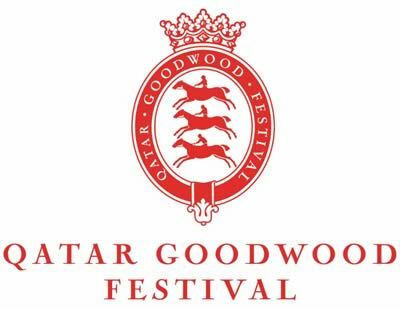 Previews of all 35 races at the five day Glorious Goodwood meeting. Includes latest betting odds, runners, form analysis, tips and trends for all big races.